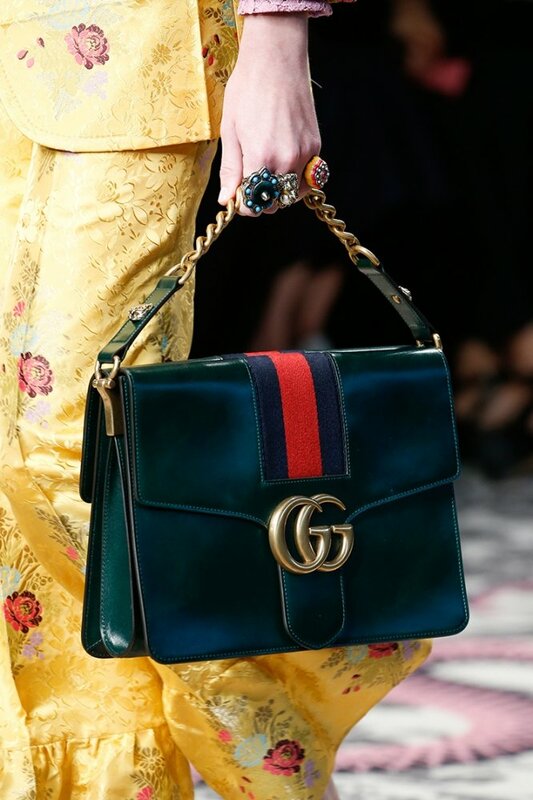 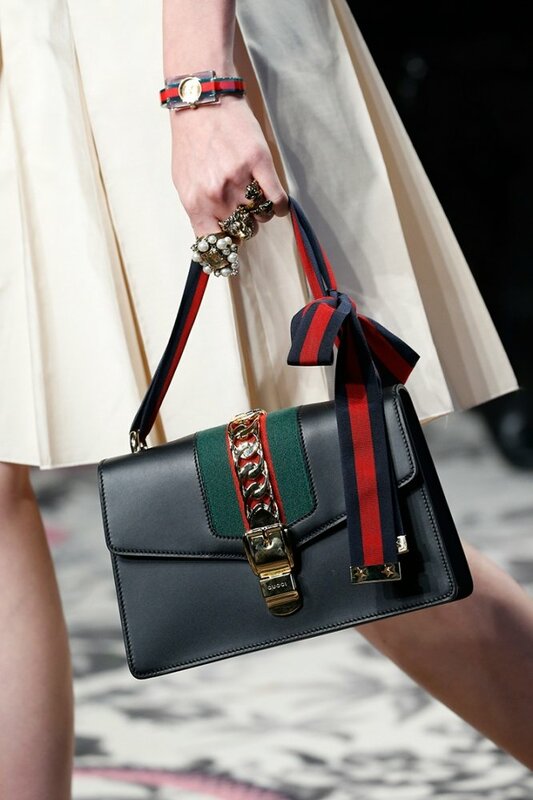 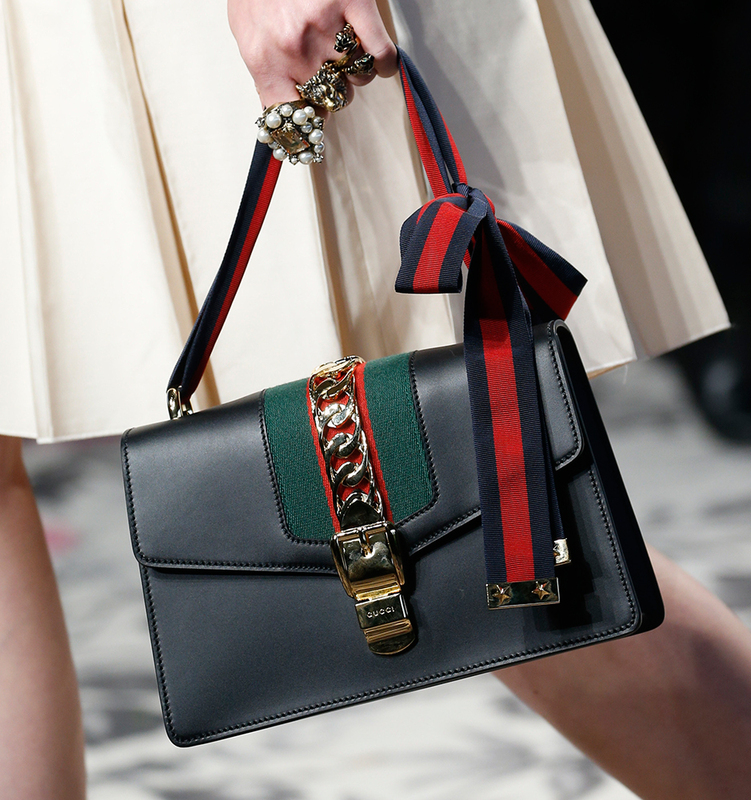 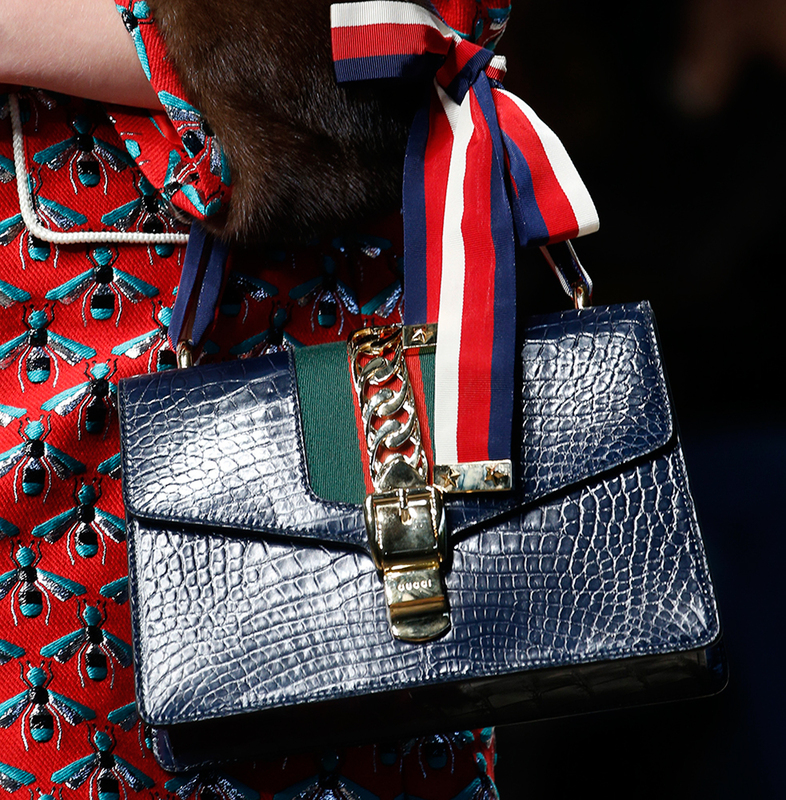 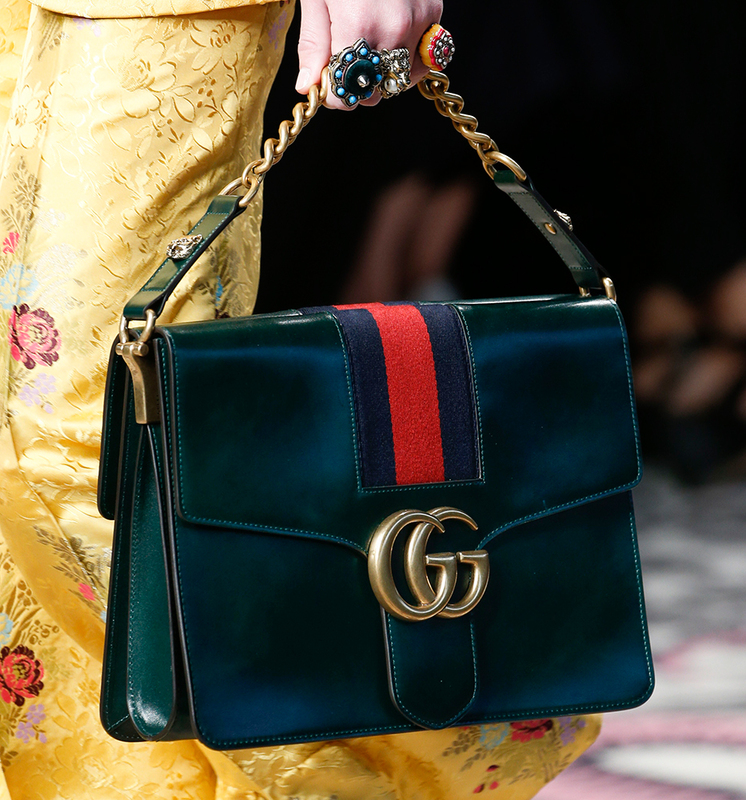 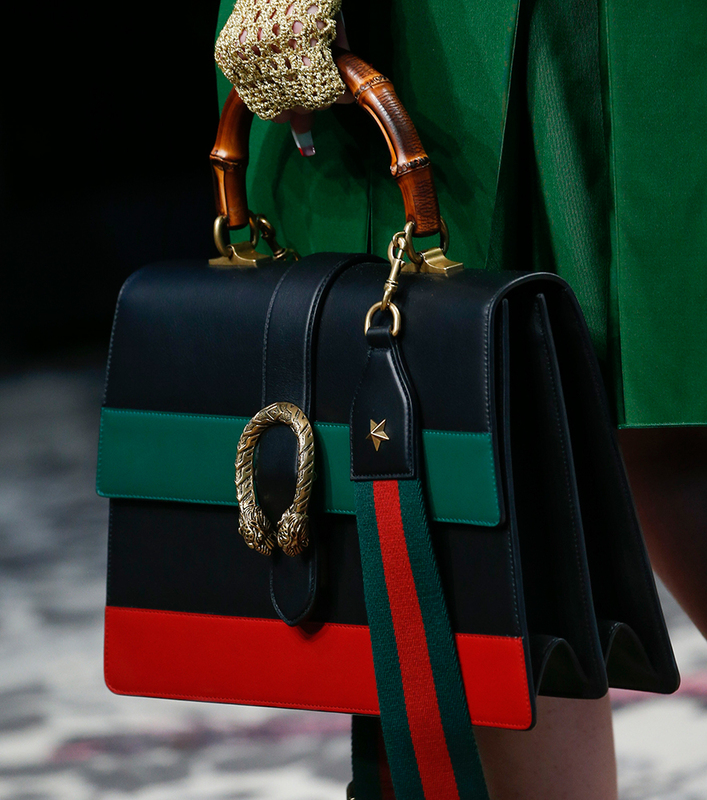 For the collection autumn-winter 2013-2014 Gucci presents fine models of bags with classic lines, elegant and sophisticated. 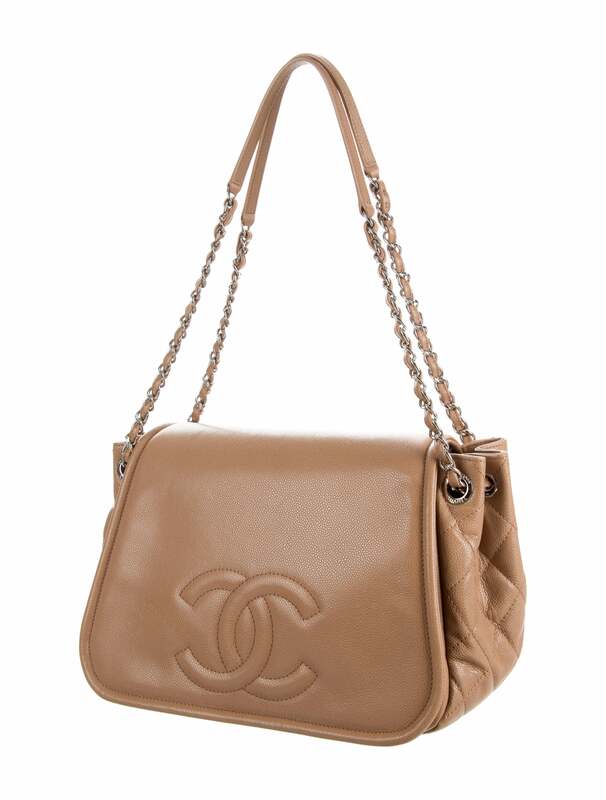 Large bags from the retro style for a strong and determined woman but expresses her femininity along with an extreme elegance. 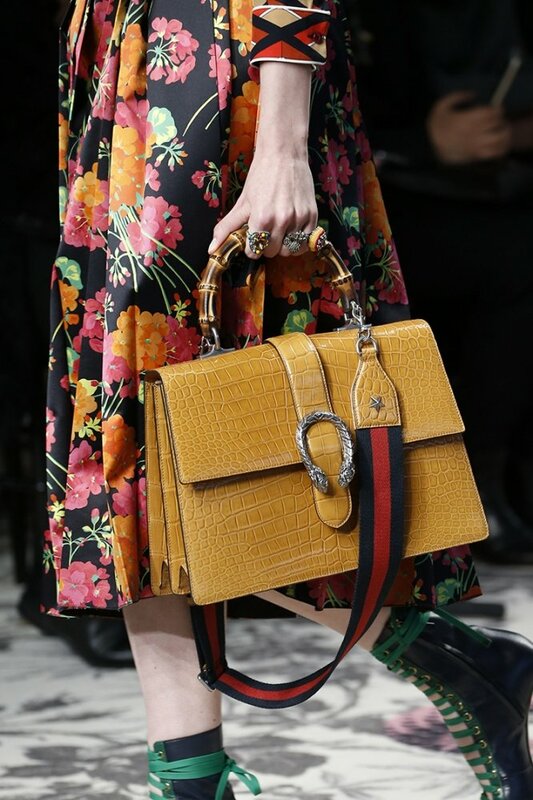 Among the materials used stands out especially the skin, a fine leather: opaque or painted is of reptile, ostrich or with prints animalier in line with the trends of the season. 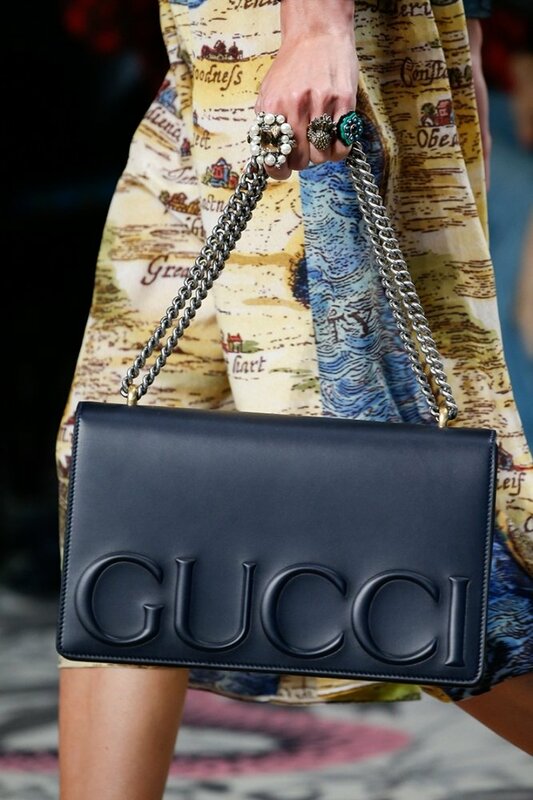 Frida Giannini knows perfectly combine the modern history of the Gucci fashion house with hard bags with bamboo handle, precious symbol of the brand and also used in the series Hip Bamboo. 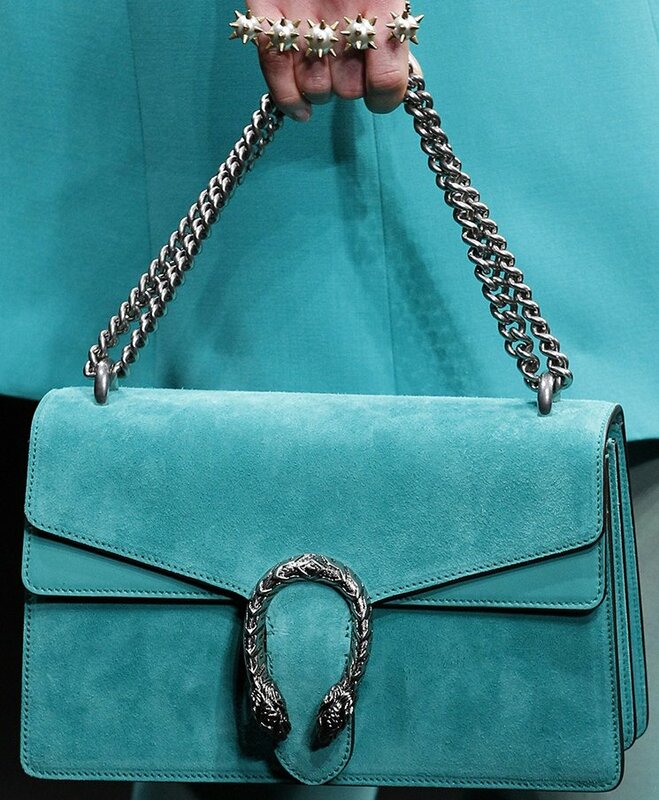 Is introduced in this collection bag hand model Sizeablehandbags, a rigid model with bamboo handle semi-trapezoidal shape with a front flap and a lock of varying colors such as matte leather in dark tones like black and burgundy, but also more vibrant colors like orange, then passing the finest versions of python from gray and brown colors and the crocodile patterns solid. 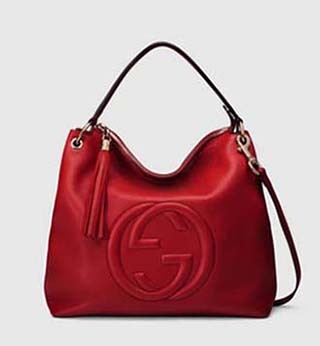 We also find the version in satin an elegant and sophisticated burgundy. 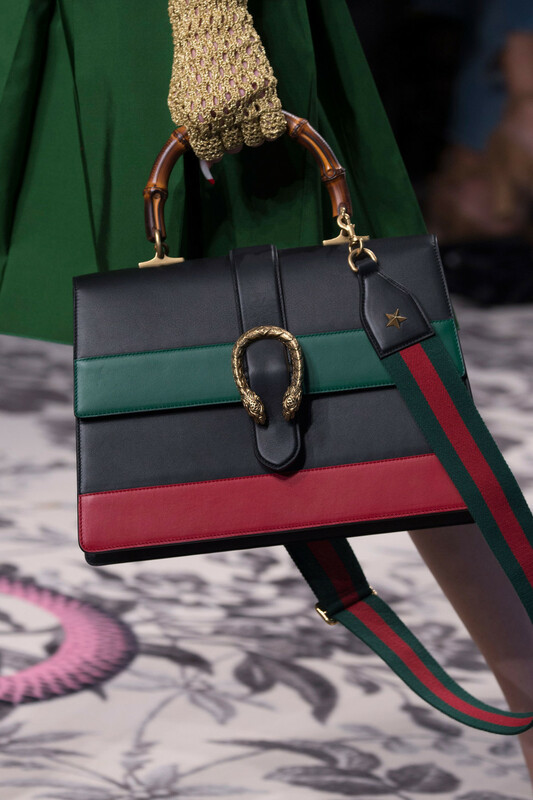 A smaller version of great sophistication and timeless appeal, to carry by hand but also shoulder, giving a modern twist remaining in the tradition of the fashion house. 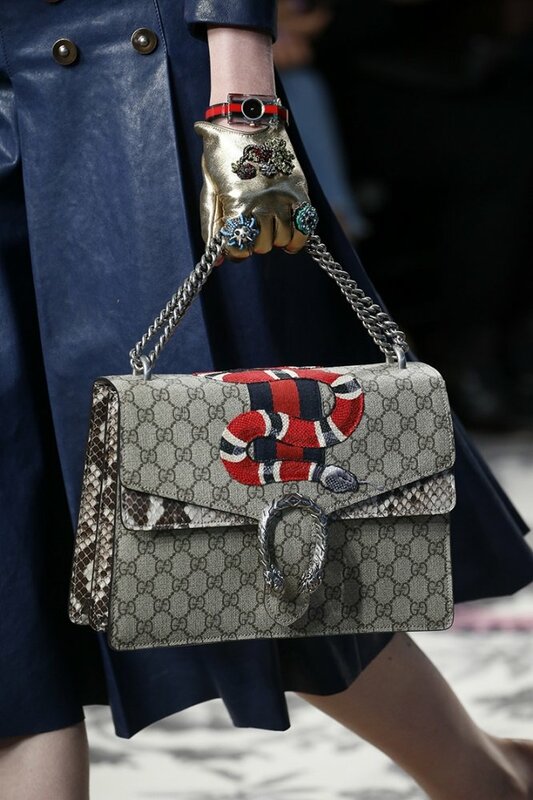 This model is made ​​of different leathers, from traditional matte to the most luxurious as the python red raspberry and fuchsia or lizard light blue. 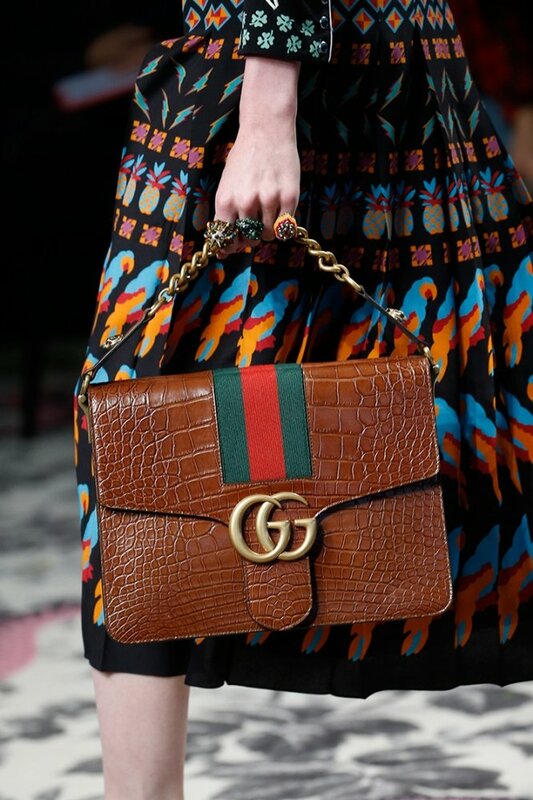 For the collection Gucci Shopper are introduced higher capacious handbags and leather in classic colors such as red, beige, black and blue, with double bamboo handle, ideal for the job. 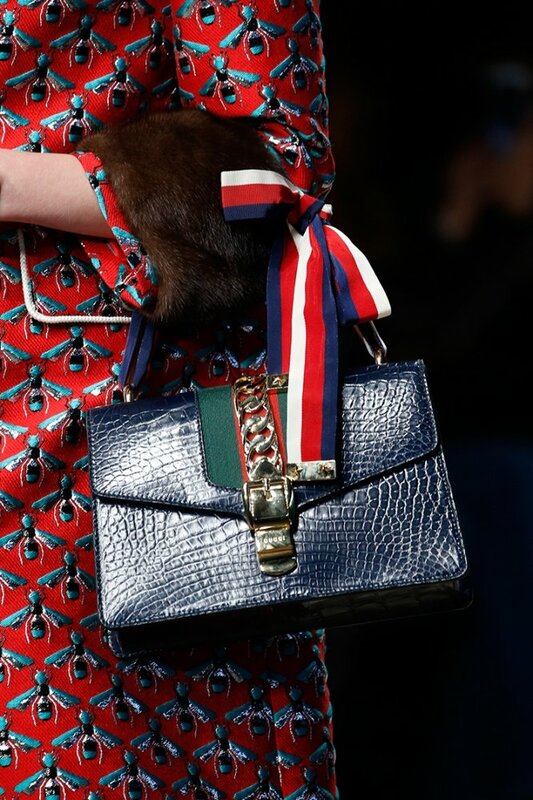 Rounding out the collection are the clutch model accordion rectangular with a small handle and metal closure these are made ​​of different leathers from opaque to glossy and crocodile.Wear it with the hand thrust in the small handles are elegant and refined for the evening. 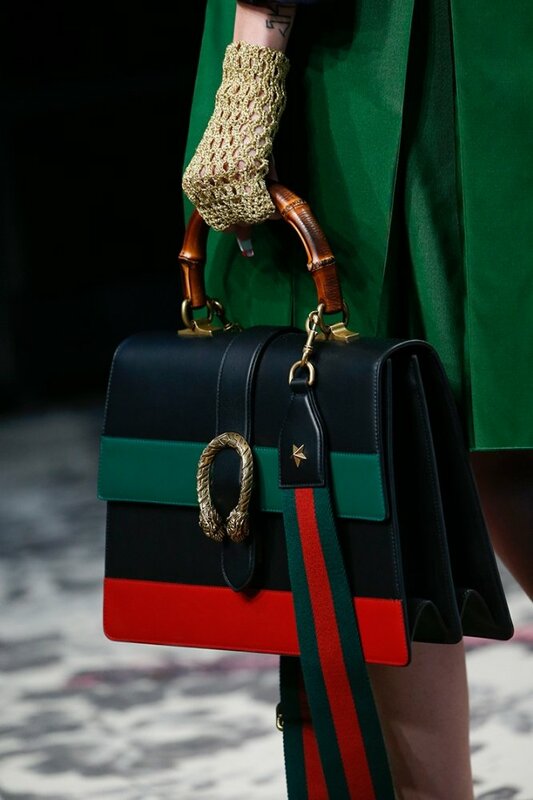 A retro style that is inspired by the fifties for this winter collection that includes such classics given by the iconic details of the translated in a modern house for the new Gucci woman: a feminine but confident.